British No 1 Johanna Konta, Heather Watson, Katie Boulter, Harriet Dart and Katie Swan will bid to reach the World Group for the first time in 26 years at London's Copper Box Arena. 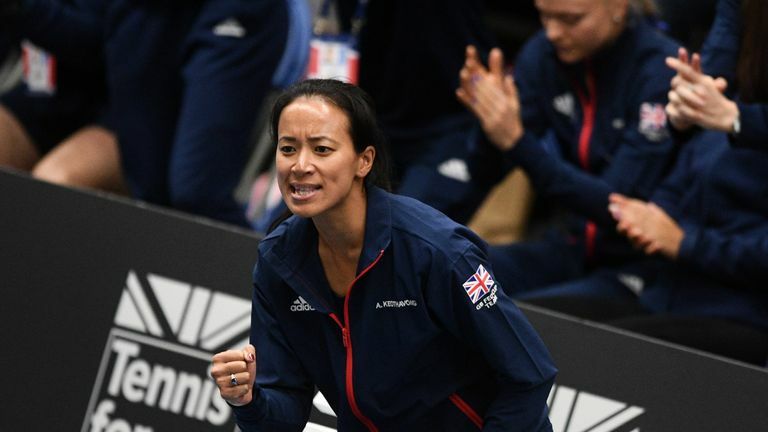 Britain hosted Fed Cup action in Bath in February for the first time in 25 years as the home nation came through the Europe/Africa Zone for the fifth time in eight years, with each of the previous four occasions having resulted in an away tie and defeat. "It's very much a 50-50 match but I'm hoping with the home support, the home crowd, that will help our players," Keothavong said on Tuesday. "It's massive. We showed in Bath what the players were capable of. The support there was great back in February. "There's a huge appetite for women's tennis in this country and we want to recreate that type of atmosphere we had in Bath. It helped our players there. We want it again this weekend, so it's going to be crucial." Former top-10 player Konta has fallen to 46 in the world rankings, while Britain's only other woman inside the top 100 is the 86th-ranked Boulter. World No 38 Yulia Putintseva, who will lead Kazakhstan out, is the top-ranked player in the tie. Zarina Diyas, who is now ranked 107, Anna Danilina and Galina Voskobeova make up the visiting squad. The Copper Box will become the first east London venue to host international team tennis as Great Britain attempt to reach World Group II for the first time since 1993. "If we were to get through this weekend, we'll be one of the best 16 teams in the world," Keothavong said. "Our long-term goal is obviously to lift that trophy and recreate what the guys were able to do in the Davis Cup. "This is the start of a long journey ahead and we're all in it for the long ride."